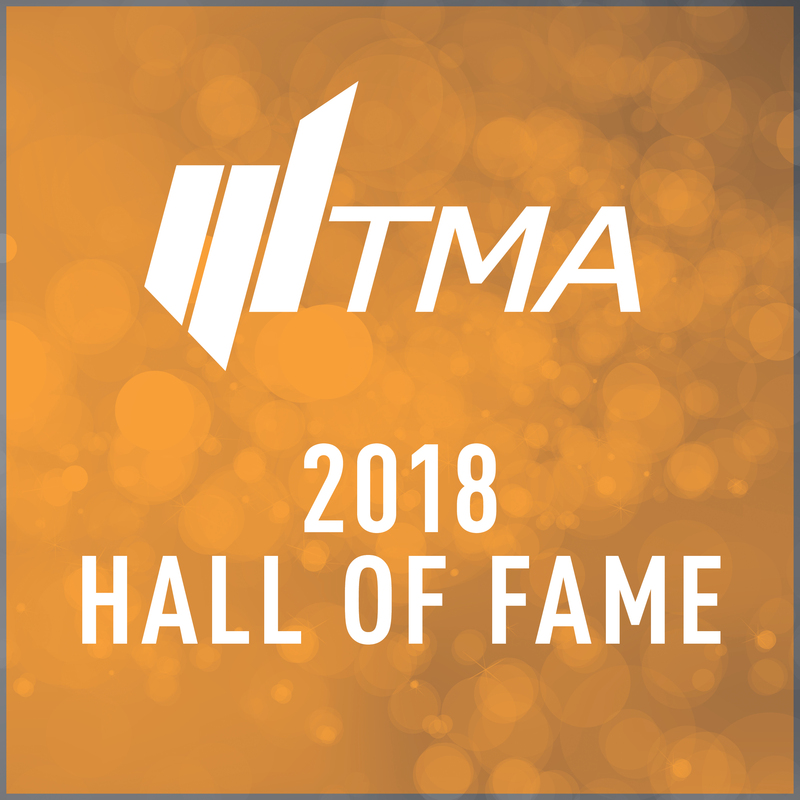 In 2008, TMA established the Turnaround, Restructuring and Distressed Investing Industry Hall of Fame to honor and preserve the names of those whose outstanding individual contributions have increased the stature and respect of an industry dedicated to stabilizing underperforming companies, rebuilding corporate value, and retaining jobs. Congratulations to the following individuals who will be honored during the 2018 Turnaround, Restructuring, and Distressed Investing Industry Hall of Fame Induction Ceremony, sponsored by AlixPartners, at The 2018 TMA Annual in Colorado Springs, September 26-28. Additionally, congratulations to the following past TMA chairs, who will be inducted as honorary Hall of Fame members. In the past decade, TMA has inducted 20 professionals into the Hall of Fame. For a list of past inductees, visit turnaround.org. My career path into the turnaround industry did not take a direct route. I joined the Chicago Police Department out of college. During my time with the CPD, I attended DePaul’s College of Law and College of Business, receiving an MBA in 1979. I joined First Chicago that year, and my first position was in the workout group. At First Chicago, I worked on some of the largest restructurings of the 1980s, including Chrysler Corporation. I also had the privilege of working with some the greatest turnaround people of that era, such as Sandy Sigoloff at Wickes Companies. In 1985, I constructed a business plan to merge the skill sets of both financial and operational restructuring to be delivered by a major accounting firm. In 1986, I launched a turnaround practice at Coopers & Lybrand, and in 1988, I started the practice at Arthur Andersen. At Andersen, we worked on some of the largest projects of that period, including Comdisco and United American Healthcare Corp.
After Andersen ceased operations in 2002, I became one of the founders of Huron Consulting Group. The cornerstone engagement that propelled Huron to prominence was the United Airlines financial advisor assignment. I joined my longtime friend Jim Tyree at Mesirow in 2006 and retired from that firm at the end of 2012. Since then, I have been active with multiple board positions and interim management assignments. In leaving CPD, where I was highly regarded, to start a banking career, I took a risk. In starting a consulting business in 1986, I took a risk. Each transition had both risk and opportunity. In life, making the most of opportunities, as well as creating them, has been the cornerstone of my success. I believe that continuing personal development is key to being a turnaround professional. Financial advisory services for distressed companies in the mid-1980s were essentially a cottage industry. I saw that troubled businesses needed a broader spectrum of consulting that included financial as well as operational advisory services. The restructuring and turnaround industry has evolved from small firms to major international powerhouses. Young restructuring professionals have career tracks that will help them add to their personal balance sheets. Today, we live in a world with competitive forces that demand rapid change. In the last decade, we have changed the way that we purchase goods and services and how healthcare is delivered. Our profession must keep up with these changes. There are three parts to a successful restructuring: accountability, creativity, and a sense of urgency. Those basic tenets are as relevant today as they were when I started my first turnaround business in 1986. I joined the TMA board in 1989 because it offered the opportunity to learn from other professionals and to build my personal network. Little did I know at the time that several of those board members would become lifelong friends. Without TMA, I doubt that my career would have been as successful as it has been. Being involved in a successful turnaround is an all-consuming event. Once you have experienced saving a business, you will want to repeat the experience. It is tremendously rewarding to be able to save a business, to be able pay back stakeholders, and to leave the business better than when you started the engagement. 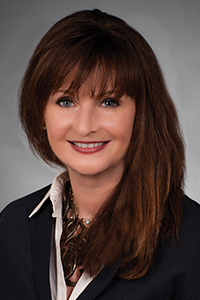 I joined AlixPartners in 1998 after working for several years in roles at The Recovery Group and, prior to that, Boston Financial & Equity Corporation. I was promoted to managing director in 2001, and I have been AlixPartners’ global leader of Turnaround & Restructuring Services since 2013. Throughout my career, I have guided restructuring processes and business turnarounds as a CRO, CEO, CFO, and restructuring advisor, focusing my practice on business transformation, operational alignment, cost reduction, negotiation, situational analysis, and debt restructuring. My case involvements over the past two decades include many high-profile restructurings, such as Westinghouse, PREPA, Atlantic Power, TBS Shipping, TORM, SemGroup, Calpine, Exide, and Umbro. At each stage of my career, I’ve had exposure to matters which are frequently volatile and where outcomes are typically uncertain. Before joining AlixPartners, I worked for a company that made high-risk loans into special situations, such as leveraged buyouts, start-ups, and troubled companies. I learned to focus on potential defaults and other risks, and spent several years looking at situations through the lens of a creditor. While much of my work in the years since has focused on company-side matters, I view my time on the other side of the table as invaluable. Consensus building is always challenging, but the ability to put yourself in the shoes of other parties, and to demonstrate that you’re really listening, can make all the difference in a difficult negotiation. On my first interim CEO assignment, I found myself in need of some emergency guidance and mentorship. It was my first time in the role, and I completely panicked when I pulled into the client’s parking lot. I literally could not bring myself to get out of the car. Eventually, I called one of my partners. He was completely supportive, took the time that was needed to re-instill my confidence and, most importantly, convinced me to get out of the car and walk through the front door! What this experience taught me is that everyone needs a mentor—ideally more than one—who you can count on if you lose track of yourself or forget the value that you bring to the table. In this line of work, it’s hugely important to find people who you admire, who you trust, and with whom you can speak frankly. I would emphasize the importance of pacing yourself and having a well-defined set of priorities. The work on a complex turnaround and restructuring matter can sometimes feel endless, so you need to sort out what really must be tackled right away and what can wait until later. If you view everything as having equal priority, you run a really high risk of burning out. I would advise less experienced professionals not to be afraid to engage more-senior people in the field and ask questions of them, even if they strike you as intimidating or too busy. Everyone in restructuring started at a point where they lacked answers and expertise, so don’t be afraid to ask questions and maybe be wrong. In a recent interview that I gave, I spoke about how much the restructuring practice at AlixPartners has grown since I joined the firm in 1998. By connecting people who dedicate their professional lives to corporate revitalization and by focusing their efforts on spreading awareness of our profession and the value that we bring to the corporate arena, TMA has contributed immensely to the growth of our industry. During my 41-year career, I’ve led more than 400 engagements in turnaround and crisis management, loan workout, bankruptcy consulting, and performance improvement. 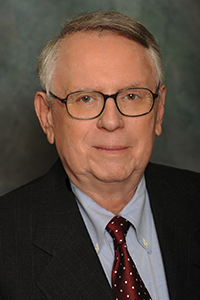 I started my career at Arthur Andersen after graduating from Baruch College in 1977. After earning my CPA, I left to earn an MBA from Harvard Business School. 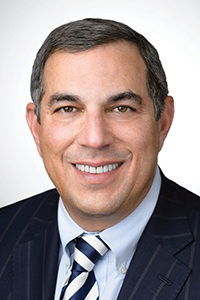 In my second year at HBS, I was recruited to rejoin Andersen to start its New York bankruptcy and restructuring practice and become a member of the core partner group directing the practice nationwide. A unique opportunity with Arrow Electronics, the world’s largest electronics distribution company, persuaded me to leave; with carte blanche to choose my own career path, I held senior executive finance, operational, and sales/marketing positions and helped the company significantly reduce operating costs, improve market penetration, and increase profitability. Several years later, Andersen was seeking to strengthen the practice I initiated, and I returned for six years. But Andersen wasn’t prepared to permit its consultants to assume interim management assignments, which the industry was migrating toward. Seeking to pursue the full breadth of restructuring assignments, I joined Executive Sounding Board Associates (ESBA) to begin and grow that firm’s New York office. Seven years later, in 2003, I departed to join Abe and Joel Getzler to begin the most personally rewarding chapter of my career, co-leading Getzler Henrich. Each experience helped make me the professional I am today. HBS developed my skill to swiftly distill the relevant from the irrelevant and gave me confidence that no problem is too large or complex to handle. At Arrow, I gained multifunctional corporate experience in senior management roles with an extraordinarily knowledgeable CEO mentor. Andersen allowed me to experience launching a practice in a fledgling profession. At ESBA, I proved to myself I could significantly develop and grow a business without a big firm banner. For the past 15 years at Getzler Henrich, I’ve enjoyed both managing and growing a business with partners and colleagues whom I care deeply about and who possess high levels of integrity, ethics, aptitude, and excellence. When I’m asked how to be successful in our profession, my answer is three-pronged: (a) ask the right questions/extract relevant information quickly; (b) listen, listen, listen and formulate effective solutions; and, most important, (c) be keenly perceptive about people, understanding their objectives, motivations, agendas, and personalities. We aim to convince people to implement change or compromise when they’re otherwise inclined; understanding your audience and adaptability are key differentiators of success. Further, be curious—probe and employ professional skepticism. Understand not just what people say but also why they’re saying it. Do the right thing, i.e., make smart, reasoned decisions based on what’s best for the client and interested parties. Deliver value efficiently every time. Communicate straightforwardly. The analytics to determine what’s wrong are the science of our business, while our ability to communicate to those involved is an art. Treat people and their knowledge with respect, and be sensitive, even when implementing actions likely to be perceived as insensitive—what we do often impacts the lives of many. I’d counsel young professionals to be committed—this is a 24/7 profession, and personal sacrifices often are required to effectively serve clients. Ask questions, and never stop learning from peers, other restructuring professionals, and clients. Experience offers growth in responsibility, effectiveness, and compensation, and builds careers. Take pride in your successes, but remain humble—remember, it’s usually a team effort, and you’re only as good as the people around you. Don’t underestimate people, even those who misstep or fail. Finally, don’t forget to have fun and laugh. And always do the right thing. As a budding entrepreneur in 1977, I was approached by a senior lender at Philadelphia-based Continental Bank to review the operations of one of the bank’s underperforming borrowers and provide an assessment. Pleased with the report I delivered, the loan officer gave me an additional opportunity—one of my first referrals. A business colleague, David Trall, said that it “sounds like you are a sounding board for executives and lenders.” From there, Executive Sounding Board Associates Inc. (ESBA) was born. Being a pioneer in the turnaround and restructuring industry was fun and exciting. Cornerstones of building ESBA were a commitment to excellence and meeting people. TMA was a big part of that. I was one of the first to plan marketing dinners around TMA conferences, which became a widespread practice that still continues, and jockey to have our colleagues attend. We scouted special locations to “wow” our invitees. One of our best dinners was held at Galatoire’s Restaurant in New Orleans. We confirmed 60 attendees, but by the night of the event, that number had doubled. We took over the entire second floor of the restaurant. I am exceptionally proud of the reputation we built. While working on about a half-dozen jobs for one lending institution, the chief credit officer and the head of workouts suggested giving me an office at the bank because I was doing so much work on their behalf. We never lost sight of the fact that all of our successes could be wiped out in a blink of an eye if we failed to be vigilant. Striving for and executing excellence is still the biggest differentiating factor in our industry. I am humbled to be inducted into the Hall of Fame with other luminaries of our industry and would like to thank Nominating Committee Co-Chairs Jeffrey Hampton and Suzanne Koenig and the entire committee for this honor. I am proud to have worked with many members of this year’s class—Judge Carey before he was “his honor,” Ron Sussman before his tremendous impact on TMA when it was needed most, and Mark Chesen and Scott Victor before they started SSG—as well as previous inductees. To the next generation in our industry, I say be yourself, find a great mentor, and get involved. Since the beginning, I loved the challenges of this profession and many of the people involved. There is always an opportunity to get involved; don’t be afraid to ask. I began my career in 1983 as a bankruptcy and restructuring attorney representing debtors, creditors’ committees, landlords, and trustees. After 17 great years, I transitioned into special situations investment banking in 2000 and co-founded SSG Capital Advisors a year later. Over 35 years, I have worked with hundreds of financially challenged companies and closed more than 300 sale, refinancing, and restructuring transactions in North America and Europe. 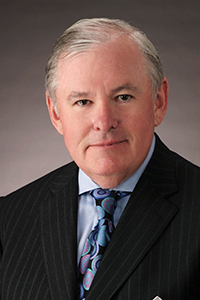 I became a Fellow of the American College of Bankruptcy in 2004, served as president and chairman of TMA Global in 2015 and 2016, and served on ABI’s Board of Directors for six years. Right out of law school, I joined a small Philadelphia law firm focused on bankruptcy and restructuring and led by one of the deans of the bankruptcy bar at the time. A few years later, I became a name partner. Working for a boutique firm allowed me to lead cases from day one and gave me face time with clients facing financial challenges. That immediate case responsibility gave me deep insights about the factors that lead middle market businesses to succeed or fail, and I have carried those insights with me throughout my career. 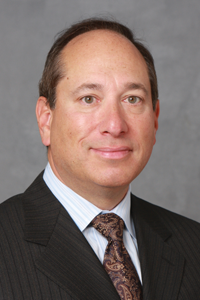 I was recruited to Saul Ewing LLP in 1992 to lead a debtor-focused practice. The leader of the bankruptcy group there pushed me to become a better lawyer and negotiator, and to get more involved in the local restructuring community. During those years, I worked closely with investment bankers, including some from Berwind Financial who would later court me away from practicing law and into the world of investment banking. About a year after joining Berwind, my partners and I acquired that firm’s Special Situations Group and started SSG in 2001. We sold SSG to National City Bank in August 2006, and I fought for 2½ years to preserve the SSG brand. I was successful and was able to acquire SSG back from National City in 2009 after the bank was acquired by PNC. In switching firms and career paths, each position gave me a broader perspective of the restructuring world and helped move me toward what I really wanted to do—transactions. It was critical throughout my career to understand the business issues of distressed companies and to be fluent in the Chapter 11 process and debtor/creditor law. This differentiator helped me to win countless assignments and close hundreds of transactions over the years. Career change in middle age is not a bad thing; in fact, it can be a great thing. Several bankruptcy attorneys have gone on to become successful investment bankers, financial advisors, and private equity and hedge fund investors. Regardless of where you are in your career, it is critical to work hard, be ethical and professional, and be recognized as among the best at what you do. Nothing brings more referrals and accolades than doing a great job and being successful. TMA has helped me build my personal brand over the past 15 years. The first leadership position I held was as TMA Philadelphia Chapter president. Since then, TMA has afforded me the opportunity to further strengthen my personal brand at local, national, and international levels. I have held multiple roles on TMA Global’s Executive Committee, including serving as the organization’s first vice president of conferences, and most recently as immediate past chairman. Restructuring professionals around the world use the TMA brand to further their personal branding and to provide countless introductions to fellow restructuring professionals. Relationships are the key to business development. There is nothing better than doing deals together to build a relationship. Referral relationships also come from being involved in our industry—through associations, charitable organizations, teaching, and writing. Be a volunteer—get involved—and be a leader!